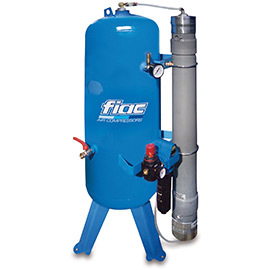 Werther International Inc, in partnership with FIAC, offers on-demand Nitrogen (N2) gas generators and nitrogen compressor packages that are capable of providing purities of up to 99.85% and flow of up to 220 L/min (7.70 CFM). Based on the latest in membrane technology, our N2 generators are compact and quiet. 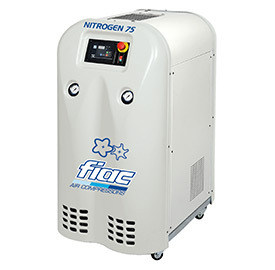 When equipped with the silent running on board compressor option our Nitrogen Generator packages offer a complete turnkey solution for a variety of applications. Quiet, compact, self contained generator that is easy to install and operate without the need for additional components. 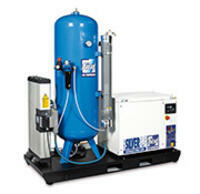 Ideal for applications where a source of compressed air is available.